Dominic Jermey, ZSL's Director General, explains why zoos like ZSL London Zoo play an important role in bringing wildlife back from the brink. Last week, four northern bald ibis bred at ZSL London Zoo travelled to Spain to be released into the wild, as part of a global conservation project for the Endangered species. It’s exciting news, as the birds, which were once widespread across Europe, haven’t had a wild population on the continent since the 1700s. Quite rightly, we’re thrilled to be part of this project, which embodies one of ZSL’s core aims: bringing wildlife back from the brink. Although it’s not the first time we’ve released animals into the wild, it is - as has often been levelled as a criticism towards zoos - a fairly rare occurrence. So why don’t good zoos - engaged in multiple global breeding programmes, caring for populations of Critically Endangered birds, reptiles, amphibians and mammals from all over the world - then routinely take the next step of boosting threatened populations in their original habitats? One simple answer is that what we call the wild doesn’t always live up to its name. Many of the world’s most threatened species are living in poor habitats degraded by agriculture, threatened by disease or hemmed into tiny areas with no way of reaching potential mates without coming into conflict with humans. The 2018 Living Planet Index, produced by ZSL for WWF, showed that the population of monitored mammals, birds, reptiles, amphibians and fish have, on average, dropped by more than half in little more than 40 years. Poachers are targeting pangolins, tigers, elephants and rhinos as part of the illegal wildlife trade, while PCB pollution in our oceans is having a dramatic effect on marine life. The truth is that many ‘wild’ areas are no longer viable habitats for animals to survive in – and reintroduction is much more complicated than people might realise. Well-planned reintroductions should always be a last resort, as it is better to enable wild populations to grow and expand their range naturally. Good conservationists will make sure all other avenues have been explored – such as creating habitat connections or carrying out wild-to-wild translocations. And before reintroductions can happen, we must ensure habitats are healthy enough to sustain a growing population and are free from risks of poaching, conflict with humans, or wildlife disease. But it’s not all bad news - and being part of global breeding programmes is just one facet of our work for wildlife. We are thinking bigger, broader, more laterally: we see a future for the world’s wildlife and are working all over the world to tackle the root issues threatening it. We’re working closely with the South Sumatra government in Indonesia on a landscape management project to try and address some of the issues wildlife are facing, including creating wildlife corridors to allow tigers safe passage through larger ranges. Where palm oil plantations and unsustainable practices such as peatland drainage for industrial timber are rapidly changing the landscape for tigers, elephants, rhinos and orangutan, we’re working to develop alternative sustainable income streams for public and private land managers. Thousands of people in the Philippines are benefitting from Net-Works, ZSL’s innovative approach to coastal biodiversity conservation: creating community income streams that reduce plastic pollution and replenish fish stocks. In Africa, ZSL’s professional law enforcement training is helping authorities combat the increasingly well-financed criminal gangs that control the illegal wildlife trade. Last year in Benin, we supported the arrest of four ivory dealers and the confiscation of half a tonne of pangolin scales - Africa’s largest ever pangolin scale seizure. ZSL’s wildlife health research is focussed on detecting, understanding and treating disease, as well as addressing their causes and training and supporting wildlife health professionals around the world. These kinds of interventions protect biodiversity and provide sustainable livelihoods, helping people and wildlife to co-exist. 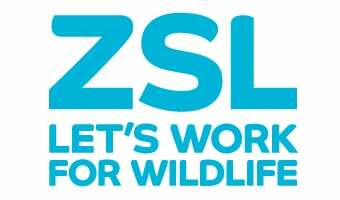 All of which makes ZSL’s role – and the role of all good conservation organisations – much bigger than reintroduction. But we still need good zoos. Not only to provide a critical haven for Endangered species but also as a unique environment to learn both from and about animals – learnings which are shared with other zoos across the world and with conservationists in the field, who use this critical information to carry out their work in the wild. Zoos are also vital for education and inspiration: over a million visitors are inspired by visits to ZSL London Zoo every year, while many notable conservationists have recounted how a visit to a zoo started them on their path to preserving the planet. Sir David Attenborough’s earliest expeditions were with ZSL London Zoo, filming for the BBC series Zoo Quest in the 1950s. If the crux of our work is improving the relationship between people and wildlife, simply releasing animals into the wild - while undoubtedly an achievement – should not be our only goal. Our four ibis arriving in Spain are the culmination of 20 years of work with the species at ZSL London Zoo: caring for the population, learning more about their mating habits and ultimately breeding a healthy flock able to survive in the wild. In the meantime, we must continue to preserve healthy animal populations in responsible zoos, while also continuing to work in the wild to make habitats truly habitable.